Even as the way letterforms have changed from metal to phototype to digital, Hermann Zapf has continued to design exceptional typefaces, most of which he derived from pen-made forms. In this talk, typographer and calligrapher Jerry Kelly describes the history of many of Zapf’s types, focusing mainly on later designs including Marconi, AMS Euler, Linotype Zapfino and Zapf Civilite, as well as new information on classics like Palatino, Optima, and others. 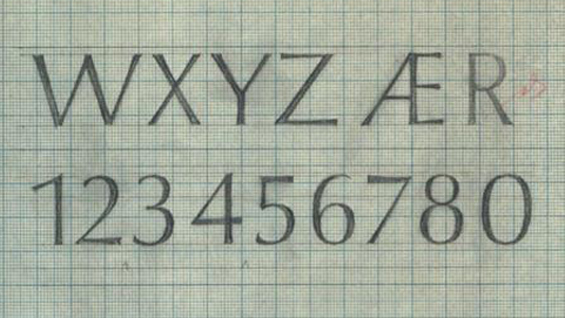 This will be accompanied by numerous slides of type specimens, drawings, and drafts, many of them rarely seen. Jerry Kelly is a book designer, calligrapher, type designer, and typographer based in New York City. After jobs in advertising typography and calligraphy, he worked for ten years at the Press of A. Colish (Mt Vernon, NY), and then for nine years for The Stinehour Press (Lunenburg, VT), before establishing his own firm in 1999. In those positions he has designed many award-winning books for clients too numerous to mention. He has been a partner at the Kelly-Winterton Press (a small letterpress operation) since 1978, and a free-lance designer and calligrapher for almost as long. In addition, he is a partner at Nonpareil Type, a small, independent typefoundry specializing in revivals of under-appreciated typefaces from the past (such as Emerson and Epigramatta) alongside with new, original designs (Rilke, Kelly Sans, etc.). He has taught calligraphy, typography, and book production & design at Parson’s School of Design (1997–2006), Stanford University (1998), Queens College, The Center for Book Arts, Camberwell College (London, England) and elsewhere. Among his numerous publications are books including The Best of Both Worlds: Finely Printed Livres d’Artistes, 1910–2010 (Godine, 2011), The Art of the Book in the Twentieth Century (RIT, 2011), Fine Printing in the Twentieth Century (Grolier Club, 2005), The Fine Art of Letters: The Work of Hermann Zapf (Grolier Club, 2000), A Century for the Century (Godine, 2004), Artist & Alphabet (AIGA, 1999), The Art of the Type Specimen (ITC, 1992), & German Fine Printing 1948–1988 (Grolier Club, 1988). He has also published numerous articles for the AIGA Journal, Fine Print, Printing History, Matrix, Calligraphy Review, Visible Language, Papers of the Bibliographical Society of America, and other periodicals. Kelly holds a BA in Fine Arts from Queens College, CUNY, and has also studied at the Rochester Institute of Technology (Master Classes in Calligraphy with Hermann Zapf, 1979-1988) and Cooper Union (Digital Type Design, 2006). The Herb Lubalin Lecture Series is a part of the Type@Cooper program which is open to the public. Many events in the series are free of charge. The lectures thematically follow the overall curriculum of the program, offering students a deeper insight into specific and relevant topics. The series is sponsored by Herb Lubalin Study Center of Design and Typography at the Cooper Union, a public graphic design archive which places emphasis on a hands-on access to a wide range of design and typography ephemera.